I have slots open during the week as well as limited slots on Saturdays. We’ll meet either at my home studio in Glen Burnie or at your home to have our lesson. At the conclusion of each lesson, I will give you exercises that will keep your playing sharp until the next session. *Lessons are given on a weekly basis and purchased in monthly blocks. 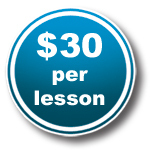 Payment is due at the first lesson of the month and it is prorated for any planned absences. You only pay for the lessons you plan on taking. You don’t have to commit right away. I offer a $35 introductory lesson so that you can meet me before making a commitment. The introductory lesson is 45 minutes long. I accept cash or checks, credit cards or you can pay with PayPal.